Remarks: Projectile has ballistic cap, unstreamlined base. Information is from captured documents. German Designation: 24cm Sprgr. L/4.1 m. Bd.Z. Fuze: Base detonating fuze Bd Z. f. Sprgr. m.K. -Time and percussion fuze: Dopp. Z. 16 nF. German Designation: 28cm Sprgr. L/3.5 m. Bdz. German Designation: 28cm Sprgr. L/4.4 mBd Zu. Kz. Remarks: One cart and one normal charge in container - 163.7 kilograms. One super charge in container - 50 kilograms. Remarks: Slightly streamlined base. 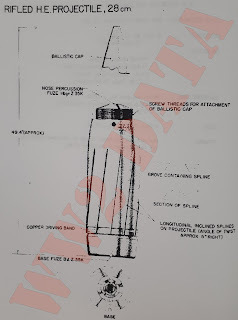 Ballistic cap threaded to body of projectile. Projectile has rifled design which takes the form of 12 longitudinal inclined splines (inclination 5 degrees, approximately). 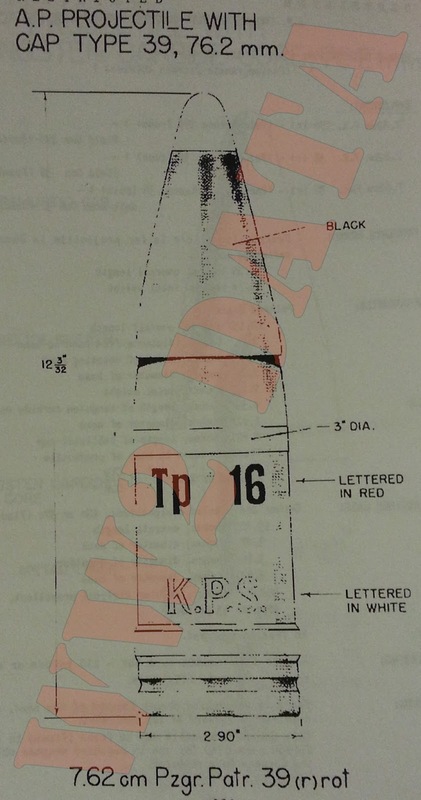 These are approximately 60mm apart and are probably intended to engage in the rifling of the gun. 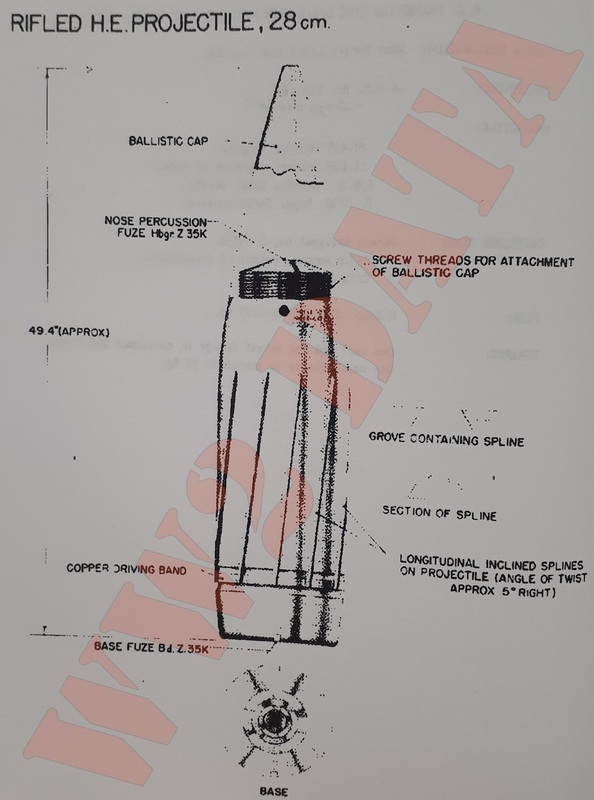 The splines do not appear to be machined from the main projectile body but are constructed separately on strips of steel which are then fitted into grooves cut in the projectile body. These grooves are under-cut to produce secure attachment. To the rear is a copper or bimetallic driving band, the probable function of which is to act as a gas seal.